The first three Chapel services of the semester have featured strong speakers: Dean of Students Pastor Tim Griffin, author Josh Riebock and Redemption Church Pastor Justin Anderson. Monday’s Chapel will bring a fourth. Russ Pennell, GCU’s head coach for men’s basketball, will speak on the topic of trusting God with anxiety and worry. GCU Men's Basketball Head Coach Russ Pennell. Pennell, in his third year at the University, acknowledges that stress and anxiety can be huge problems with college students, who tend to worry about earthly aspirations such as marriage, making money and having a successful career — while failing to put their faith in the Lord. Pennell hopes that God will speak through him at Chapel to reach those who are struggling. Many know Pennell for his passion and drive on the court, but few know much about his walk with God. He grew up in Pittsburg, Kan., as a Christian and says it helped keep him on the right path. But because of that very upbringing, he didn’t believe he had much of a faith story to tell and took his beliefs for granted. He says he learned through a friend that the fact that he is saved is his testimony. Pennell brought that walk along with him to GCU. He uses the opportunity he has been given as a coach to freely share his faith — through prayer and passing on his beliefs and morals to his players. Students, faculty and staff are invited to hear more from Pennell at 10:45 a.m. Monday in GCU Arena. 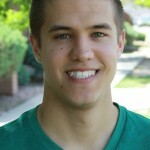 Cooper Nelson is a GCU junior majoring in communications who played on the men’s basketball team for two years.